I have this theory that people are more open to truth when they are smiling than when they are frowning. And Catalina Echeverri’s illustrations for Tales that Tell the Truth just make me smile! They are bright and winsome and shot through with humour. 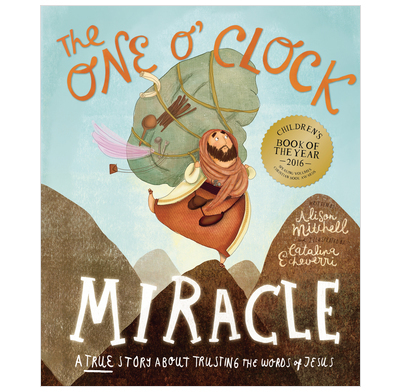 Combined with texts that faithfully retell both individual Bible stories and God’s Big Story, they make for a winning series of picture books. A man with a burden makes a journey to Jesus and finds that Jesus' word is enough: that's the story. In this version, the excitement and urgency of the narrative is enhanced by visual graphic emphasis. Add to that enchanting illustrations, littered with unexpected, even quirky, detail and you have a book to delight the adult reader and child listener.